Although our canine friends love us unconditionally, there is a number of things you probably do that are driving your dog nuts. In order to keep Fido as your best friend, you need to know what these nasty and annoying habits are and try to get rid of them as quickly as possible. 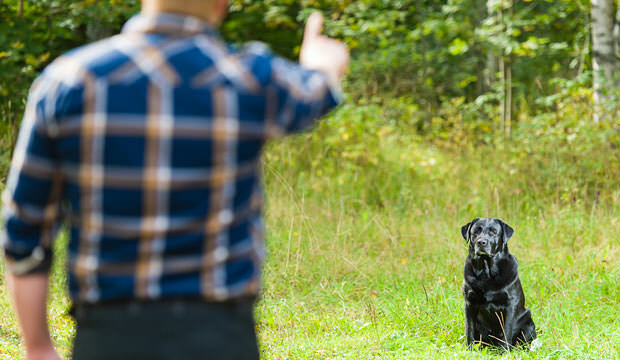 Make sure you stop yelling at your dog and try switching to body language. We have evolved over time and became a primarily vocal species. We simply love talking to and about other people, sometimes even behind their backs, but we need to understand that our pets respond better to body language and physical manifest of emotions, than to verbal communication. Dogs are able to figure out the meaning of some key words we use daily (words like sit, stay, walk, treat, toy, off…), but they are not capable of completely understanding human language and all the messages it conveys. What they are true experts at, hoever, is being able to read our body language and decipher exactly what you’re thinking and feeling just by reading your body. So next time you want to yell come! at your dog, try leaning forward and summoning him with your hand instead. It will work like a charm. going to disagree on the hugging…my dogs, all except one who is still learning to adjust to being around humans, love to be hugged. My one pitbull hugs everyone, every chance she gets. Definitely! My dog nuzzles up to me, clearly wanting me to nuzzle back to him. I hug him and he relishes this, pushing his body harder into mine. If that ain’t hugging back, what is? Yes, our overgrown Lab crawls up in our laps to be hugged. That is a VERY good point. I agree. You don’t need to listen to this dribble. All dogs are different. Some even have social issues. You can see what a dog wants or doesn’t want just by paying attention. Don’t be afraid of dogs they are inherently loving sentient beings. Just treat them with love and you will receive love back. My dog likes to play with every body and i dont like that. So what do i do to stop that? brilliant list, but the hugging? im gonna have to disagree, my eldest dog even nudges his head under my arm to get a cuddle and a tummy rub. and both of mine love everyone who theyre allowed to curl up in their arms and have a snooze. Dogs like it when you are the boss. They are animals, not politically correct non human Americans. They want to feel like you are strong and in control. If the dog wants to play, and you do what he wants, he will simply assume that bye is the boss of YOU. 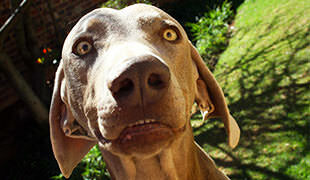 Dogs are calmer if you exhibit understandable reactions like aggression and anger at their disobedience. My dog loves hugs. Not only getting hugs, giving them too. This story is wrong in many ways. As for the hugging, that depends on the dog. When I was only 2 or three, my dog would walk up to me and lean on me until I gave her a hug.